In a world full of Netflix and chill, side people, just talking and all of the other excuses to not commit, falling in love is hard. 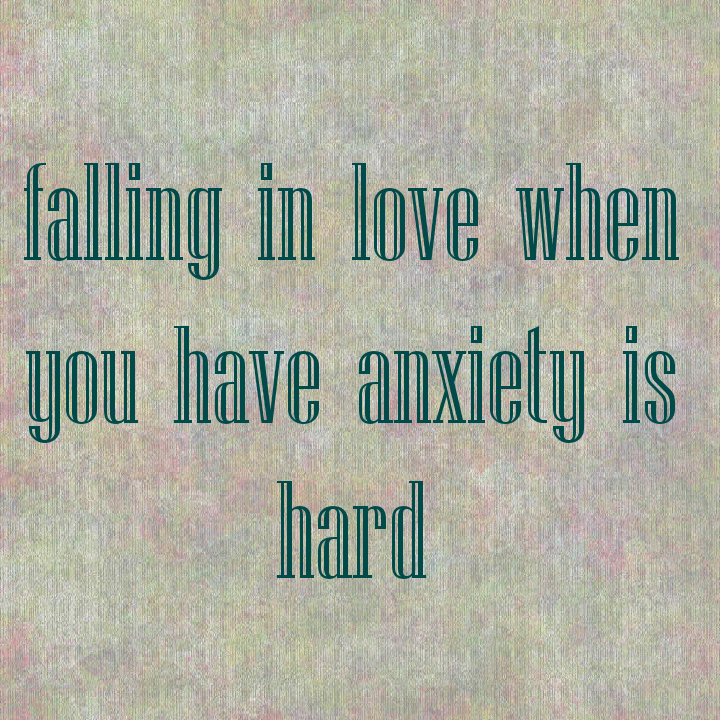 But falling in love with anxiety is even harder. I have posted before about dating with anxiety. It is a challenge. You are constantly second guessing yourself. Second guessing them. Never completely understanding how they could possibly love you and so much more. Luckily, I have been lucky enough to fall in love with an amazingly understanding man who I married almost 3 years ago. We have been together going on 9 years. And it wasn’t always easy. It is actually a constant battle. I’m not going to lie to you. I have anxiety. I have severe anxiety. So it can make any relationship a challenge. Like any relationship we have our good days and our bad. And usually I am the cause of many of our arguments. But it is not something that I want. It is mostly because I am having a bad anxiety day. It’s just a bad day. Doesn’t mean me and my husband are arguing. We’re not. We are at such a great place. But being in love with anxiety you always wait for the other shoe to drop. So… It is a constant battle that I deal with to ensure that I am not overthinking things. Assuming things. Or blowing things out of proportion.